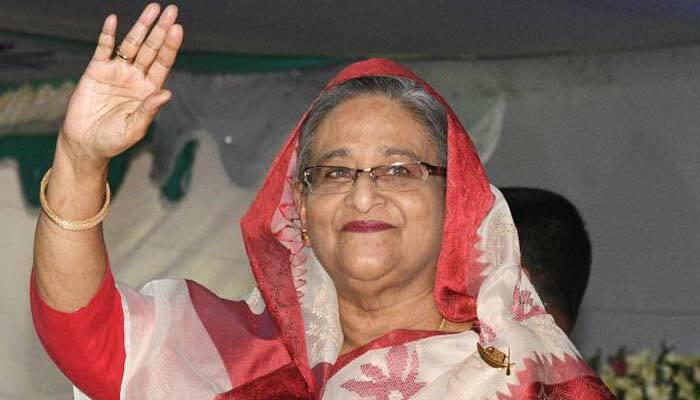 ﻿Awami League (AL) General Secretary Obaidul Quader today collected two nomination forms for party President Sheikh Hasina, starting the sale of the party’s nomination paper for the 11th parliamentary election. Quader inaugurated the sale of nomination forms at AL President’s Dhanmondi political office around 10am today. Joint secretary Dr Dipu Moni and organizing secretary Barrister Mohibul Hasan Chowdhury are supervising the sale of nomination form for Dhaka division,joint secretary Mahbub-ul-Alam Hanif and organizing secretary Ahmad Hossain for Sylhet division, joint secretary Jahangir Kabir Nanak and organizing secretary BM Mozammel Haq for Rangpur division, joint secretary Mahbub-ul-Alam Hanif and organizing secretary AKM Enamul Haque Shamin for Chattogram division, joint secretary Abdur Rahman and organizing secretary Abu Sayeed Al Mahmuud Swapon for Khulna division, joint secretary Abdur Rahman and organizing secretary AFM Bahauddin Nasim for Barishal division, joint secretary Advocate Jahangir Kabir Nanak and organizing secretary Khalid Mahmuud Chowdhuy for Rajshahi division and joint secretary Dr. Dipu Moni and organizing secretary Advocate Misbah Uddin Siraj are in charge of Mymensingh division.